The Paloma Grida Village & Spa is a luxury holiday village located right on the edge of the hotel’s private Blue Flag beach near the town of Belek in Antalya. An ideal destination for families, the 5-star hotel offers a superb garden setting with the beautiful Belek Sea in sight, a fun water slide park, seven swimming pools for both parents and kids, a children’s club, an array of dining choices, a fitness centre, spa, Turkish bath, fabulous sports facilities and endless entertainment options for children and adults alike including live music, shows and more. Whether you’re travelling with family or friends, Paloma Grida Village & Spa offers a fantastic holiday filled with sun, sand and sea. Right on the sandy coast of the Mediterranean Sea, Paloma Grida Village & Spa is just a 5-minute walk from the its private beach. 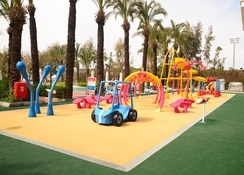 It's located just 700 metres away from the Belek town and 45 km from Antalya. The Antalya Airport is just a short transfer from the property, only 35km away. There are many places of interest nearby, including Manavgat waterfall, the amphitheatre of Aspendos and the Temple of Apollo. 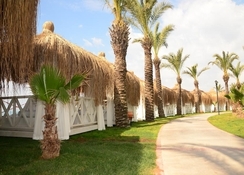 Paloma Grida Village & Spa offers 459 rooms with sea and land views, categorized into Standard Rooms, Agora Rooms, Superior Rooms, Family Connection Rooms, Duplex Family Rooms and the luxury Lake Villas. All non-smoking guestrooms and suites have a modern and bright decor, with comfortable furnishings and contemporary amenities. Common features across the rooms include a furnished balcony with panoramic views of the Med, en-suite marble bathrooms with shower, air conditioning, Wi-Fi, 24-hour room service, LCD TV with satellite channels, telephone, mini bar, safety deposit box and tea/coffee making facilities. The hotel can arrange rooms for disabled travellers on upon request. There are 17 Lake Villas that consist of bedroom, bathroom, a separate living room and a balcony with direct entrance to the pool. The villas also come with a private pool restaurant and bar. Paloma Restaurant, the hotel’s main restaurant, offers a rich buffet for breakfast, lunch and dinner including organic varieties. 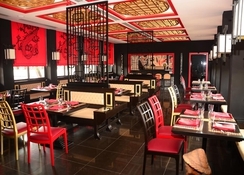 A la carte dining options include the Lotus Restaurant that serves classic Far East cuisine, Seasons Restaurant dishing up international cuisine and the Prime Steak House preparing Mediterranean specialities. If you want a taste of inventive Turkish cuisine, head to the seafront Ada Restaurant, or for traditional Turkish fare, the Saffron Restaurant is a perfect venue. The Lake House Restaurant offers breakfast and dinner for Lake Villa guests. Le Petite Patisserie serves cakes, deserts, cookies and beverages between 11 AM and 5 PM. Paloma Grida Village & Spa houses seven bars and lounges. Zomm Bar serves organic wine, made in the hotel’s farms. The Beach Club and adults-only 18+ Bar, located by the sea, offers snacks and refreshing beverages. Other on-site bars include Champions Sports Bar, Bar Bianco located by the amphitheatre, Pool Bar and Disco Bar. The biggest attraction at Paloma Grida Village & Spa, Belek, is its privately owned Blue Flag beach, just outside of the hotel. Sunbed, sunshades, towels and refreshments are provided to the guests, who can also take part in watersports like banana boats, jet-skiing and wind surfing. 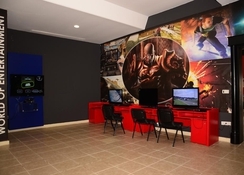 These activities are provided by another company and entail charges. 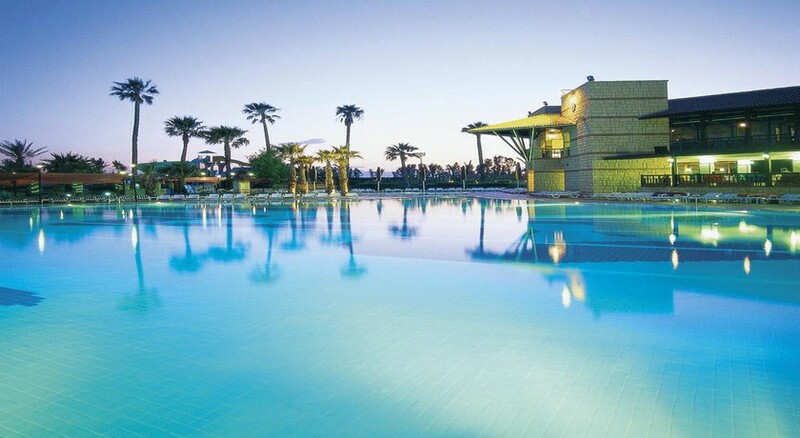 There are three outdoor swimming pools, one indoor swimming pool, two children’s pools and a waterslide pool. There’s a fun aqua park with various slides. For fitness and sports enthusiasts, the hotel has amenities such as fitness centre, aerobics, yoga, les mills, tennis, basketball, mini golf, table tennis, beach volleyball, water gymnastics, beach games, Boccia, billiards and other indoor games. 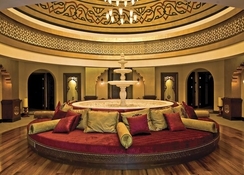 The wellness centre offers Turkish bath, sauna, massages and body treatments. 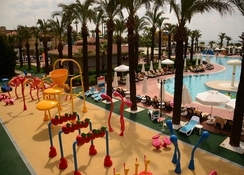 The hotel has a kids’ club for children aged 4-12 years and a teenage club for 12-16 year olds.